Griffith City Council is manager to Griffith's most valuable resource - OUR WATER. 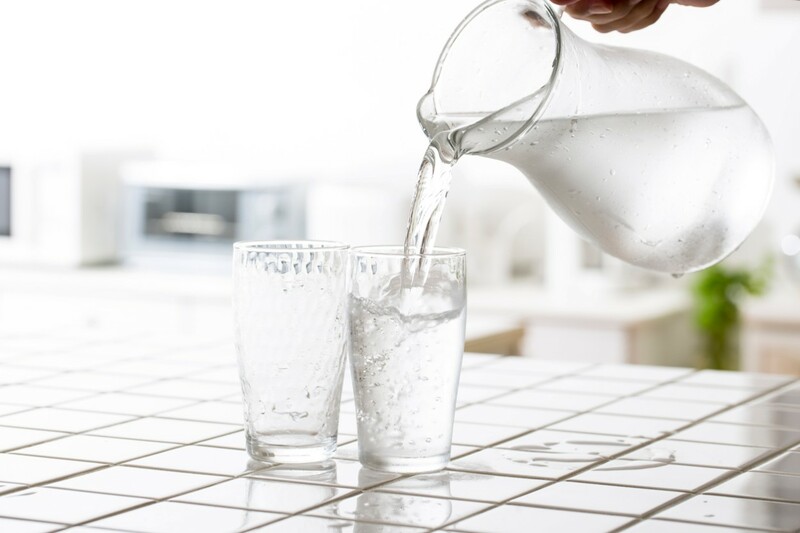 Our mission is to supply water to consumers at standards which meet their needs, and to take used water from consumers for appropriate treatment, further use, or disposal without harm to the environment. Council has two water treatment plants (WTP), one situated in Griffith and the other at Yenda. Both treatment plants draw their water from the main canal. The Griffith City After-Hours Hotline Number for Water and Sewer is 02 6964 1160.
the granting of the rebate is reviewed annually. Griffith City Council provides a rebate for the replacement of existing single flush toilets and for older model shower roses. To qualify for this rebate, start by purchasing a toilet or shower rose from a local supplier (Griffith). If the toilet or shower rose falls into the correct water efficiency category (toilet must be 4 stars and shower rose must be 3 stars) the local supplier will provide you with the water rebate form for you to complete and forward to Council so Council can process and pay the rebate to you. 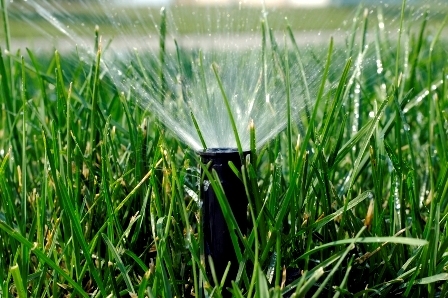 Council is committed to encouraging water savings practices throughout the city area. Through a water savings education program, providing tips and tools on how to save money, we can all start to conserve this country's most valuable and scarce resource. Council is currently implementing a program of water management for its parks and gardens, and will be encouraging all residents to comply with the current voluntary water restrictions. Please take time to look through the site and contact council if you have any further queries. There are a number of simple ways you can minimise water use in the home, from keeping cool water in the fridge to taking shorter showers. It's easy to implement a water-savings plan and every drop that doesn't go down the drain is a drop that is saved for someone else. Also, minimising water use can reduce you household water costs. Keep a container of drinking water in the fridge so that you don't run water down the plughole waiting for the water to cool. Thaw frozen foods in the fridge or microwave rather than placing them under running water. Washing vegetables: Save water by washing vegetables and rinsing dishes in a plugged sink or basin - not under a running tap. Cooking vegetables: Microwave, steam or use a pressure cooker to cook vegetables, to retain more flavour and use less water than traditional boiling. Put a plug in the sink when shaving rather than rinsing your razor under running water. Take shorter showers. Every minute less in the shower saves one bucket of water. Install a water saving showerhead. 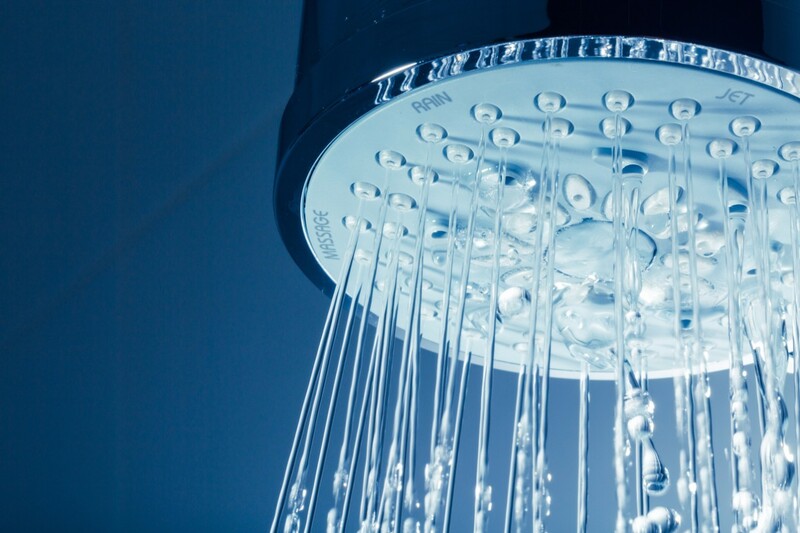 Consider installing a AAA rated water saving showerhead and save on water and energy costs. Use the half flush and save up to four buckets of water per day. Check for leaks in your toilet by adding food dye to the cistern. If colour appears in the bowl within half an hour it is time to do some repair work. Wait for a full load of washing before reaching for the detergent as every load less saves 17 buckets of water. 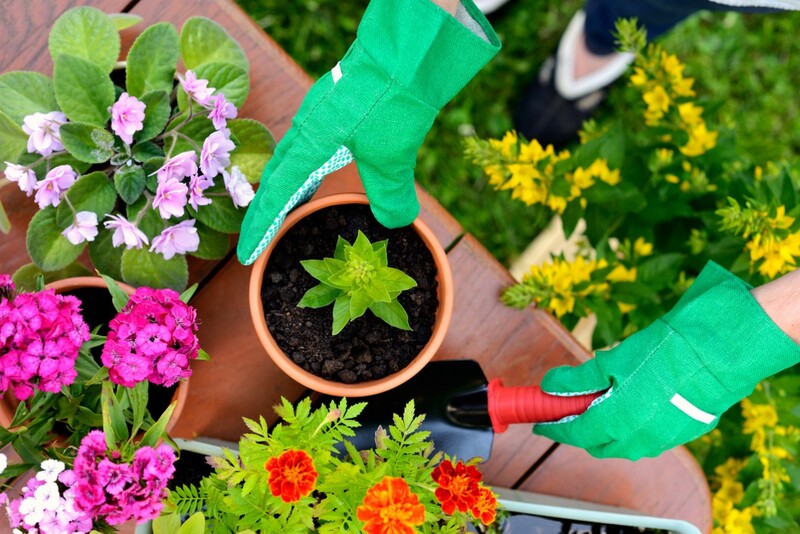 Take the time to learn to 'read' your plants. Many gardeners apply more water to plants than is needed and this in effect creates a need or 'habit'. Gradually withdraw the frequency of water application. If you are currently applying water every five days and the plants look good, then stretch it out to 10 days before applying the next bucket of water, then maybe 15 days. Gradually you can stretch it out further and you may find some plants are surviving a month or more without a drink. Before applying water test the ground. Scratch the soil with your finger and if it is damp, it doesn't need water. Plants will go into a dormant state over the summer period, then revive once the season changes. If a plant dies in your garden, consider replacing it with a more tolerant species suitable for where we live. Look at mulch suitable for the application. If you have a 'no-dig' area, consider the use of scoria or gravels. These are particularly effective around natives, Mediterranean plants, proteas, shrubs and bushes. For an area where plants change with the seasons, such as roses, annals and perennials, an organic mulch is more suitable. Some trees and shrubs will stress and drop leaves. In this case you may need to apply water to the root system. Create some holes in the ground around the root zone - not the trunk. Fill up with soil that you have added water saving crystals to. Apply water or use some PVC pipes placed in the ground to ensure water gets down to roots. To save that special magnolia or water hungry tree, use the above method. If water runs away from the plant, make a 'moat' around the root zone to keep water where it is needed. For some shrubs you may prune back excess foliage so the plant is not trying to 'feed' as much. Lawns will come back when the rains arrive. To assist, aerate lawns with the garden fork, so rain penetrates into the ground. Suitable grass varieties for this region include couch grasses and commercially available arid mixes. Talk to the local nursery for advice on lawn grasses suitable for your area. Allow grass to grow higher so it shades itself. Short grass will suffer from sunburn. Raise the mower blades for the warmer months. Don't over water and make sure you are applying water to the root zone of the plant. Look at the outer level of the plant foliage, that's where the roots are. Apply water slowly, gradually allow every drop of water to soak into the ground. A length of PVC pipe placed into the ground at root zone level filled with water will soak in gradually. Another method is to use a soft drink bottle. Put a nail hole in the lid, cut off the bottom and upend the bottle beside the root zone of the plant. Fill the bottle with water. In this way the bottle acts as a funnel to apply water where it is needed at a slow pace. When planting something new, always apply water crystals to the hole in the ground. 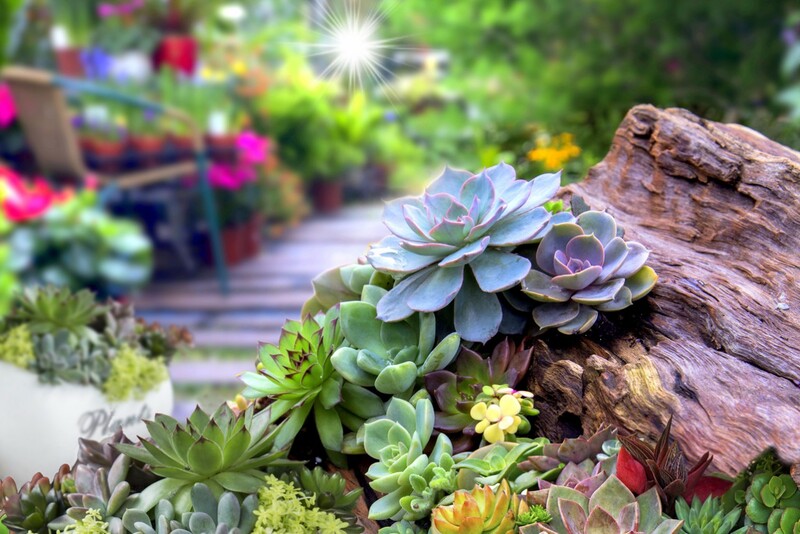 If you would like to plant some annuals, try placing them all together in a small part of the garden to concentrate the water use in one area. They are also very attractive in containers. Don't forget to use water saving crystals. Use water saving crystals in pot plants. Use a stake to create a hole and push some crystals down. Don't forget to mulch your pot plants and container plants. Some plants such as tree ferns may die off, but don't be surprised to see them come back in the autumn. Just keep the base moist.